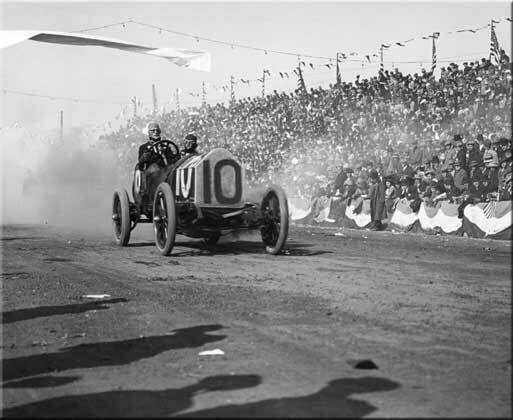 Terrible Teddy Tetzlaff, driving a Fiat, passing the Ocean Avenue grandstands with lots of attitude. 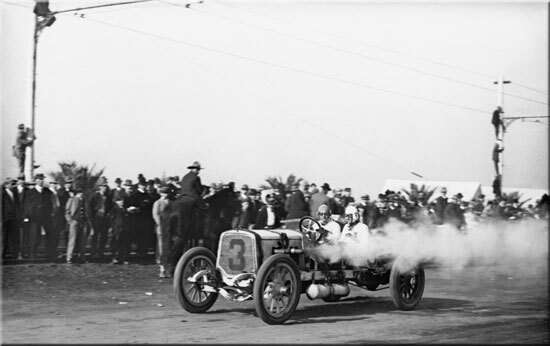 He finished in ninth place. 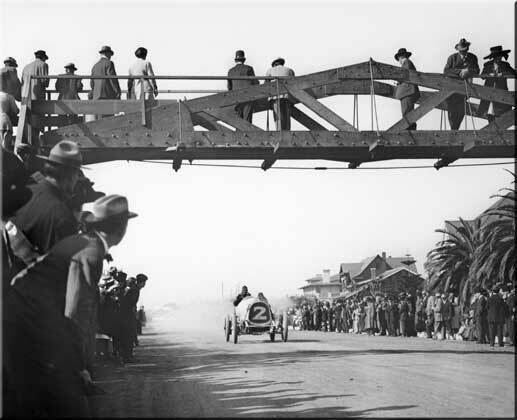 "Iron Man" Bert Dingley, driving a Pope-Hartford, racing up Wilshire Boulevard passing under the Fourth Street temporary bridge, which was built exclusively for this race. 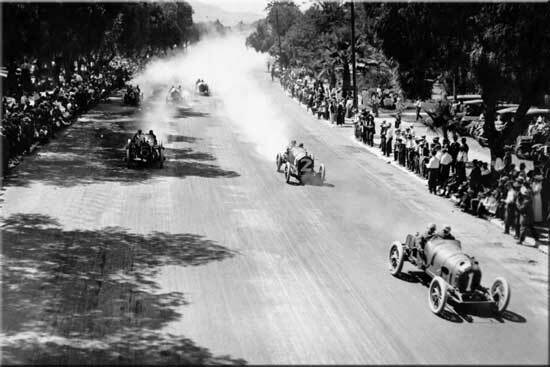 Teddy Tetzlaff in a Lozier, maintaining his lead on Ocean Avenue. 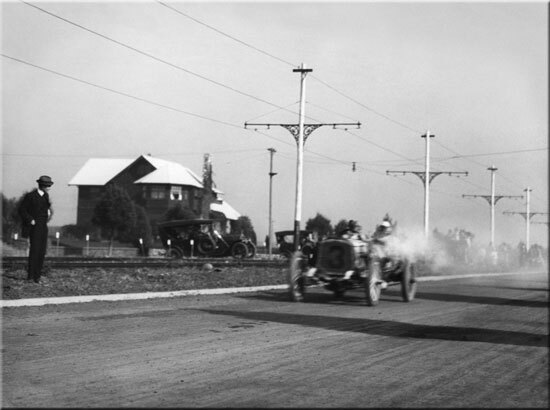 In this classic image, Tetzlaff is captured having just turned off San Vincente Boulevard onto Ocean Avenue. He went on to take the victory. 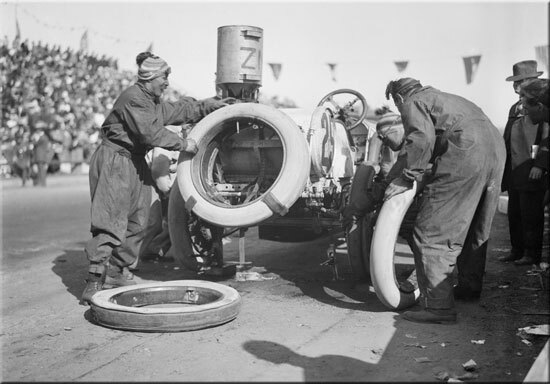 David Bruce-Brown hustles the tire change. He took third place. 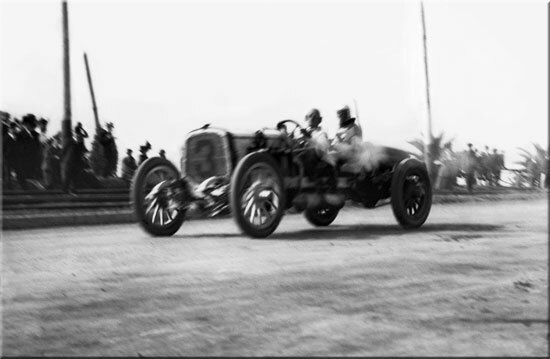 Bob Burman, averaging 90 MPH in a 1913 Peugeot Grand Prix race car, running second and challenging for the lead. 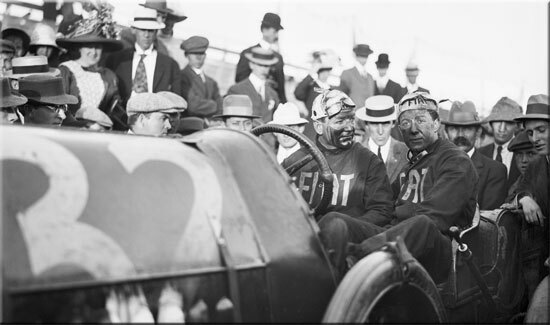 He crashed, killing two spectators and himself. 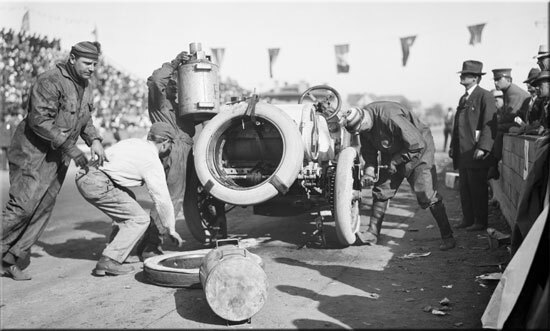 David Bruce-Brown helps with a tire change on the way to a third place finish. 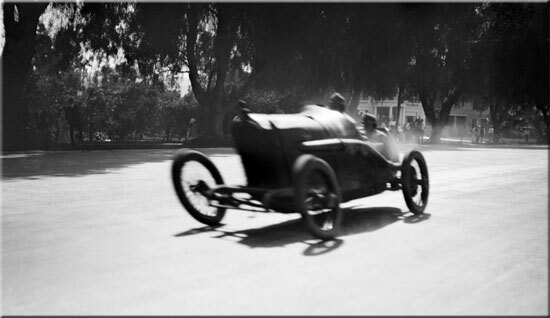 Teddy Tetzlaff, driving the Lozier, racing down San Vicente Boulevard on track for the win.